Web visitors, clients, and readers love sites that respond quickly. If you notice that your site has low traffic, one reason could be that your download speed is slow. After operating in the online space for some time, you will see that online speeds matter because the user can be a bit a impatient with you. Therefore, it will mean that you will be losing your most valued audience to competitors who may offer less than what you can entirely. As a way of preventing this, you will have to work on getting efficient speed solutions. The question you may have is “What are these solutions?” Well, here are four tips that could help you boost your website’s speed. Below we have provided 4 tips to speed up your website. 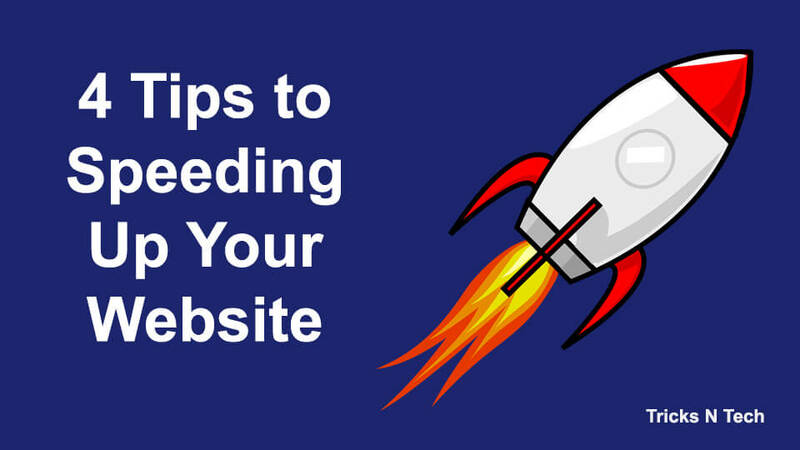 Follow the tips and you can see your site loading faster than before. If you use a WordPress hosted site, then the one solution that could solve all the slackness within your site is by installing a plug-in. The good thing about WordPress is that it provides a plethora of plug-ins to choose. Nevertheless, you have to be keen when selecting as not all of them may operate the way you require them. When selecting the most appropriate one, review it. You could inspect the number of downloads it makes over a specific period. If the numbers are high, that means that it is useful, and it could speed up your WP site. Small download numbers may present you with problems without having to state them. For instance, it is a good sign that the plugin does not function as intended. The host that you pick determines whether your platform will move at high speed or not. One way to increase the rate is by buying the right data bandwidth. Website owners think that it is right to go for the cheapest options. Nonetheless, that will never work for you after your blog or site begins to bring in more visitors. Additionally, the hosting should also go with the kind of site that you require. For instance, you would prefer hosting types where you have a dedicated server rather than a shared one. A dedicated server improves speed because you are not sharing your resources with any other individual. On the other hand, you are in charge of any maintenance that the server requires. Those that own e-commerce sites must have images, in fact, many photos, to increase the chances of conversion. On the other hand, we all understand the impact that these images have on the loading speeds. Most of the times, if not all, the content will load quickly, whereas images will appear a bit later, which could as well be unreliable for visitors. An excellent way to ensure that the loading speeds are adequate is to provide smaller files. Web designers could use JPG instead of PNG photos. PNGs are lossless images, which mean that they retain their file size, which could be in MBs, while JPGs is lossy images because they lose some of its original pixels. Small images will make sure that pages load quickly. Note that some sites have so much content on their pages. It could decrease loading speeds significantly. Since you want the user to have the best experience, always remove any formatting, whitespace, and code that you think would cause any delay. In other words, we call this process minifying. Minifying Java scripts, HTML always works. Thanks for clearing My doubts Rachit!